Auto Insurance – We have access to competitve premiums for all types of Cars, Trucks, Drivers and Households. Home Owner’s Insurance – We have access to competitive premiums and vast options of coverage limits and endorsements. Personal Umbrellas – Excess Liability coverage, several options and limits available. 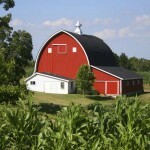 Farms- Several of our companies specialize in and offer a wide range of Farm coverage options.